You know what’s going on around here, don’t you, Gentle Reader? Here we are in High Winter (that’s what I call January, anyway). The ground is rock-solid; the garden is sitting quietly; the grass is brown; seed catalogs are scattered around the house, hither and non; cabin fever is beginning to poke its restless head into our business. Sigh. Of course. It’s January in Nebraska. We’ve had plenty of cold, but not much snow yet this winter. Little Mack has a new sled, and he hasn’t used it yet. My daughter is dating a sweet young man from Hawaii, who has never played in the snow. We all wouldn’t mind some snow, but for now we’re just trying to make it through January. The holidays craziness which kept us–for the most part–distracted from the snow and the ice and the cold, has passed now, and there’s a long stretch before we can get our hands in the warm, fragrant garden soil. Not to mention the compost pile. Sigh. Poring over seed catalogs, making my seed orders, and planning my gardens is quite a mood-stabilizer for me, this time of year. I heard bluebirds the other day. Surely they were scouts, just passing through as they looked to see if this was still a decent place to raise their young. Here’s a typical scene, say, in our kitchen, about 6:30 p.m. After a busy day, I’m trying to get supper on the table before anybody faints from hunger. A perilous time for the nerves. I slip, I drop something or run into somebody, and snap at the unfortunate soul who is Underfoot But Not Particularly Helpful. (Probably my Beloved.) You know the scenario, Gentle Reader, don’t you? First of all, why ON EARTH would anybody snap at anybody in our kitchen at this hour? After all, there are only two dogs (one medium, one supersize), one skitterish kitty (Sammie), one hungry husband, one very tall and very hungry teenaged son, and a lovely teenaged daughter and a very wiggly 7-year-old son, who possibly are Perilously Hungry and Underfoot, too. And the kitchen is, roughly, 10 feet by about 4 feet. Not kidding. But anyway. The fact that we badly need a bigger kitchen is not what I’m writing about today. 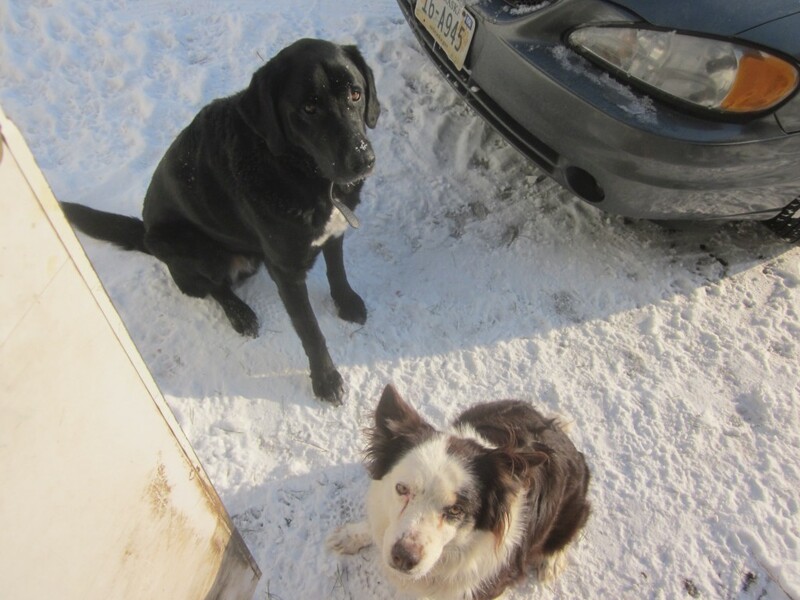 Here the dogs are waiting for me, just outside the back stoop. I take kitchen trash to the chooks every morning, and usually throw the dogs a treat, too, thus their diligence to dog my every step (no pun intended). A bigger kitchen. . . with a floor drain and cabinets that repel flour and sugar and pancake batter and grease . . . a bigger kitchen with a counter top that is not bathroom tiles with that awful grout in between them all . . . a bigger kitchen that is not the thoroughfare for traffic to all parts of the house . . . a bigger kitchen . . . oh, I’m sorry. I think I’m complaining and that’s not very nice. Bad, discontented, January ME. Amalia hears my tone, and comes to my aid. “Mom, I’ll finish up. You go look at your nice pretty seed catalogs, okay?” Did I mention that my daughter is an angel? Well, she is. She gently guides me to my big chair, by which is a tall stack of seed catalogs, a notebook, my reading glasses, and a couple of pens (in case one runs out of ink). I settle in. I smile. Everything is going to be okay. It won’t be January forever. It may feel like January will never end . . . but it won’t . . it won’t last forever. Besides, I have some really good news for you, my Gentle Readers. I have a present for you. Since it’s January! The really nice folks at Baker Creek Heirloom Seeds sent me a very sweet collection of heirloom tomato seeds, so I could give them away to one lucky, Gentle Reader. You know how over the over the moonish I am about heirloom tomatoes. I mean, they really put me into orbit! What I’ve found is that they are just as easy to grow as hybrid tomatoes, and the variety and the colors and the different tastes of heirlooms just can’t be beat! Honestly. If you’ve never tried them, you must! If you’ve never grown them, do yourself a favor and grow some this year! You’ll thank me for this bit of free advice. I grow a lot of heirloom tomato plants. I harvest bushels and bushels and bushels of them, and I make up dozens of jars of salsa every summer, I dehydrate them, I can them, and I make tomato soup that is so tasty it will make you cry. I cook with them nearly every day during the summer. I simply adore my heirloom tomato patch, and I do take a bit of ribbing for how many plants I put in each summer. But no matter. My mouth is watering right now, just looking at this picture, Gentle Readers. Not making this up. It’s worth it to be known as the Crazy Heirloom Tomato Freak Lady. Baker Creek Heirloom Seeds is a great company, just a stone’s throw away from us, in Missouri. Their story is an inspiring one, and I greatly admire the owners, the young couple Jere and Emilee Gettle. They’ve made it their life’s mission to provide excellent heirloom seeds for gardeners, and they work extensively to supply free seeds to many of the world’s poorest countries, as well. My sisters and I traveled to their awesome Spring Planting Festival last May. It was the most fun I had had in a long time, and not just because I was with my sisters, of course some of my favorite people in the entire universe. It was just a really amazing event for us garden-hungry, heirloom seed-nutty, crazed foodie types like us. You can learn more about the Gettles and their amazing company by clicking to their website here. But, back to those free seeds . . . I’ll tell you a secret . . . I have raised a few of these, but not all of them . . . I’m sorely tempted to keep a few for myself . . . but no! This giveaway is for YOU, my Gentle Reader, as my humble and grateful “thank you” for reading my blog, for commenting, for sharing it with your friends. I do appreciate you all so much! It’s very simple to enter, and the more entries you plug in, the more chances you will have of winning! 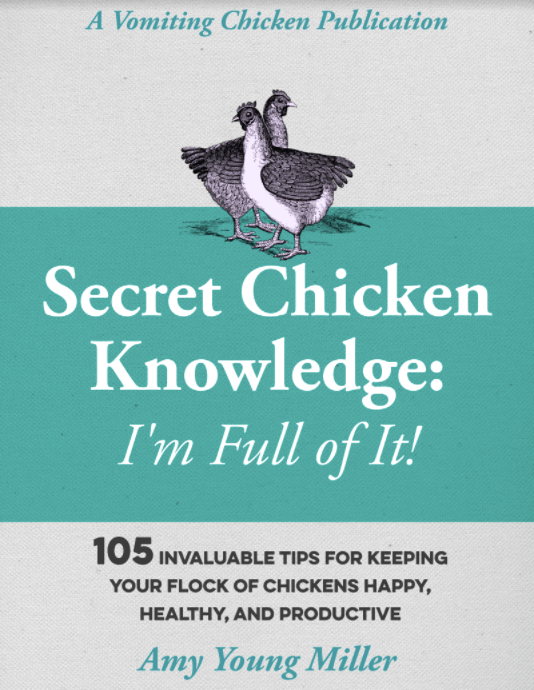 First, type your e-mail address in the bitty box to the right, so you’ll never miss out on another vomitingchicken.com e-mail update! There. Done? That’s one entry. But you can enter many more times, with the super-simple Rafflecopter thing below, to increase your chances of winning! On the last day of January, when we’ve made it through this long and gray and bitter month, we’ll draw a winner from all the entrants, and the very next day the seeds will be winging their way–so to speak–to that lucky person! Just in time to get your plants started for your summer garden! You know, it could be you!! So don’t delay, Gentle Reader. Enter now, and enter often! And then dream of heirloom tomatoes . . . 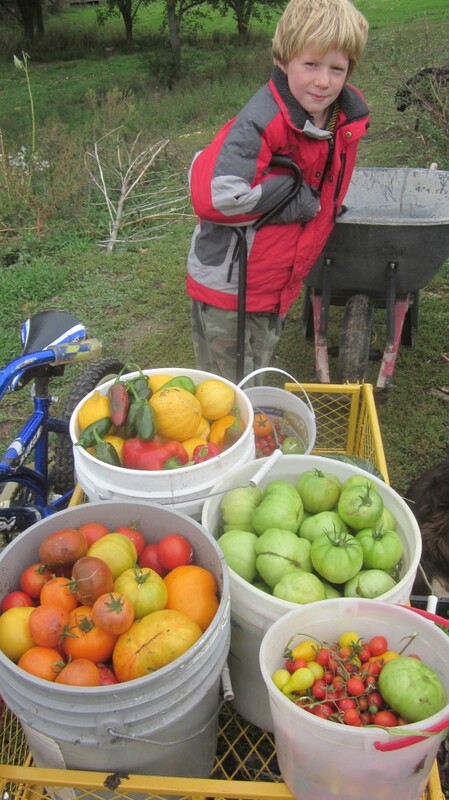 This was our beating-the-first-frost, last tomato harvest in October! I’ll be sharing this post with my pals over at The Prairie Homestead Barn Hop. Join us! Sugar-snap peas! Best treat ever. Yummmm I love them too. . . I am a tomatoholic. I obsessively plant as many organic heirloom tomato plants as I can fit into my garden. Last year it was 25. I pick them up at farmers markets like people pick up stray kittens. Me too, Natasha. I just love them! I love discovering a new color or shape! My favorite thing to grow is tomatoes, because I love tomato sandwiches. I should be saying “tomatoes” because this is a tomato giveaway, right? But my answer is: zucchini! Yes believe it or not, first because I love zucchini and second because I enjoy eating the flowers, too. Oh, zucchini is so versatile, too–you can chop it up in salads, or saute it, or make it into bread. Do you have a favorite variety? Snap peas, because they’re hard to kill! I LOVE snap peas, Tauna! Ooh! It is so tempting to enter to win these seeds, because they are names that I don’t have, but I already have my seeds for this year and they are now waiting impatiently for some nice loamy seedling soil to stretch out their little legs and arms, aka roots and leaves. It just wouldn’t be fair! But the temptation is so great that I have to run to the table and look at my seed packets (which I got from Baker Creek) and realize I have no idea where I will plant all the ones I bought, let alone that many more! So I will leave my chances of winning with others that don’t have their seeds yet. I congratulate the winner! I would love to get your to-die-for tomato soup recipe! With all my tomatoes, I usually make this really excellent tomato sauce that I picked up from Spring Warren’s Quarter-Acre Farm book. It is over the top best tomato sauce I have ever eaten. I liked it so well that I made all my tomatoes last year into this sauce. Now this year I really need to branch out and I am looking for the very best recipes for tomato soup and gazpacho soup which is a favorite of my husband’s. I like it hot, he likes it cold. We both like tomatoes! I’ll dig up that recipe and post it on my blog before tomato season. It’s SO good and incredibly easy. You do need a submersible hand blender to make it, but that makes it so simple! I’ll trade you for your awesome tomato sauce recipe . . . please. . . ? Good luck on your new gardening adventures! I like to grow tomatos. I grow them in buckets. It’s great that there are so many varieties now that grow so well in buckets! Well done! YUM cukes . . . it has been awhile since I had a good fresh cuke! THanks, Kristen! I love the pics! So vivid! I am spending the next little while writing about super foods and I do believe that heirloom fruits and vegetables are part of what makes a food super. I like the idea of a contest and hope that many people enter and that even those that don’t win, will grab the catalogs and start their own heirloom gardens. We must nourish our bodies daily and feeding it poison from GMO crops is not the way to do it. Great post, Great Idea. Thanks so much, Chef! Are heirloom veggies in your plans for your WI garden this spring? Now, there’s an incentive to scoop up names. All benefit- which is why it is perfect. Just one favorite??? Hm, lettuce because it is usually the first thing that we get out of the garden in the spring, the two-legged critters usually snack on the tiny leaves before the seedlings even make it in the ground. Oh wait, maybe it is beans, because they are easy to grow and my sweetie thinks, or did think, they were the only thing we grew that wasn’t just for fun. (Actually it all is for fun, we just happen to save money along the way). Oh bother, tomatoes! Because as we all know there is nothing like a fresh tomato drizzeled with olive oil, fresh chopped basil (maybe that should be a favorite, there is pesto you know), a sprinkling of salt and pepper, and slices of freshly made goat mozzarella. Oh phooey, let’s just say plants are my favorite thing to grow in my garden! I like the way you think, Marcy! Too many goodies to choose just one! Great post. I can just imagine everybody in your kitchen, each with their own agenda. The scene on the top of the page looks so COLD. Where I live close to London, we’ve escaped the bitter cold and snow this year although we’ve had plenty of rain. In fact there’s still a rosebud visible, the stems are budding with new leaves and even the hydrangea has produced tiny leaf tips. What’s going on? As I live in a fourth-floor condo, I’ll let someone else win the seeds. 🙂 But the next time I go to the grocery I’m totally going to get some heirlooms. Thanks for the reminder on how great they are! You ought to be able to find heirlooms there, I would think, at the more “progressive” groceries! Awesome! Sounds like a great idea to me! Brenda, I have grown to love the herbs that I grow every year, too, and I miss them during the winter months very much! Wow Amy those toms look awesome and sugar snap peas awwww. We have had the most amazing winter here in France its been beautiful there is stil a couple of daisies growing up the road – can you believe that? But …… here we go now, I knew it had t get cold at some point, hope not tooooooo cold though! You can still leave a blog comment and also leave your e-mail address, for entries. Or are you on Twitter? That’s another way you can enter! Amy, I love the photo of your son with all the tomatoes!! That needs to be in a frame! 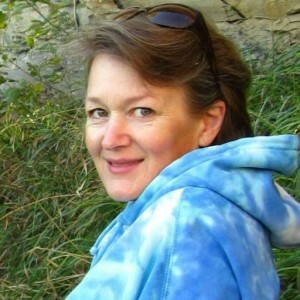 Jacqueline, thank you very much, and my humble thanks for stopping by my blog! Well, it’s hard to pick a favorite but if I had to, it would be tomatoes. They’re the one thing I grow that I can consistently count on to give me a harvest. I only started “seriously” gardening 3 years ago, but before that I grew tomatoes. Yum! I’m really starting to miss garden tomatoes, Caroline, since we ran out of our last ones months ago! The grocery store tomatoes sure aren’t the same, are they? I love just about everything in the garden, but hot peppers are my obsession! Dana, what’s your favorite thing to do with your hot peppers? I grow a lot of them, too, but then I’m always at a bit of a loss at what to do with them all! I planted heirlooms last year for the first time and WOW! They turned out amazing!!! And unfortunately right at the peak of their season a huge wind/rain storm came in and I was stuck at work and couldn’t protect them and they all blew over safety cages and wooden structure and all. So I had heirlooms that grew on the ground for a few more weeks! Can’t wait to try it again in a few months!! Ugh. Hunter, I hate it when that happens! We get big windstorms here in NE, too, and I’m always thankful when my entire tomato patch DOESN’T end up on the ground! I loved my potato patch. This was the first time, and I learned a great deal. I love to have a few bushels of potatoes stored for the winter, too! I am so looking forward to longer days & more sunshine. Time to start my seeds! It’s so hard to choose, isn’t it? I find the best way to not miss the garden is to bring it indoors for the winter. I have a small hydroponic garden and some shelving set up in the cellar .I hope to have Perth pride tomatoes to eat fresh in about 6 weeks. You can check it out on my time line on facebook (Anthony Renzulli). Some of the starts you see are from baker creek seeds. Wow Tony, I’m impressed! I’ll check out your facebook timeline! I have been getting my seeds from baker Creek seeds for years. Never been disappointed. It’s definitely one of my favorite catalogs, Angela! My favorite thing to grow in my garden has to be tomato’s! I love canning them every year and having yummy salsa and tomato juice year round! I need this in my front yard!!! I’d have to say my favorite thing to grow in my garden is tomatoes – nothing beats a fresh, warmed by the sun tomato for snacking on – especially grape tomatoes! I just recently quit my job, so will be home to be able to do a garden this year that is more than just a couple tomato, cuke & zuke plants. I got the Baker Creek catalog and have started marking the pages of what I want to order for this year. 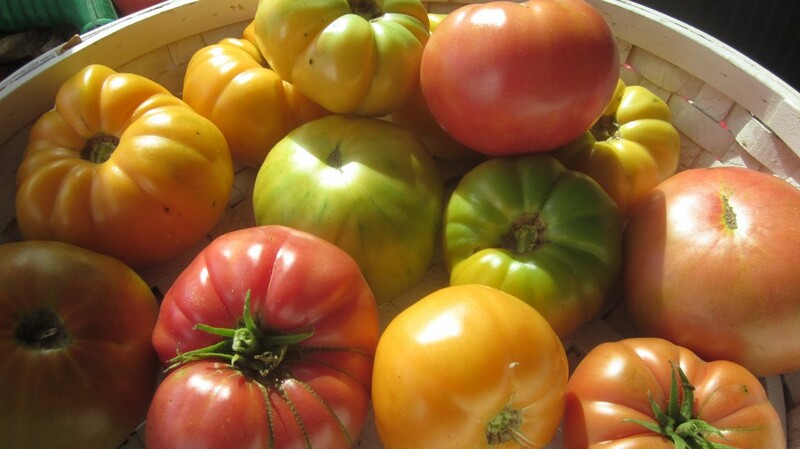 I had marked a couple of the heirloom tomatoes and would love to win your giveaway. Thank you for the chance! You are welcome, Carissa! Increase your chances by entering every day! And good luck! Tomatoes. Simply because I love the smell of a home grown tomato. I adore homegrown tomatoes! Last year was the first opportunity I had in years to plant a garden but it stayed too cold and wet for anything to make well. Oh Shelly, better luck this year, eh? No two garden years are ever the same, that’s what I’ve found! I grew my entire garden from Baker seeds last year! My favorites were the tomatoes- my favorite was the Pantano Romanesco, but the Amish Paste were wonderful too! I had dozens of pepper plants that were outstanding as well. You have a really nice blog! Thank you for your generosity for having this contest. My favorite vegetable to grow are tomatoes. I am obsessed with growing, eating, talking about and learning about tomatoes! I look forward to following your blog. Happy gardening! Thanks Tricia! Good luck with the contest, and with your garden! Oh my goodness, Melissa, now I feel a little better. I always write down everything I want, and then I total it all up and then cull out a bunch to get the total down to where I can pay for it! Yikes!! And to where I can actually have space to grow all the ones I order! Heirloom tomatoes is my favorite garden treat too! It’s how I got started gardening! Except I started with hybrid varieties, and just couldn’t figure out why my garden tomatoes lacked the flavor I remember from childhood. Then I somehow found an orange oxheart plant. I’ve grown them every summer since! My favorite tomatoes are full of flavor, so I considered ordering the Paul Robeson from Baker Creek this year. Jessica, the orange Oxheart is one of my favorites, too! I love growing everything. But I lobe tomatoes, peppers, melons and pumpkins! I am dreaming of tomato sandwiches. Me too, Ann Marie! Yummmm . . .
Can’t wait to begin planting seeds. It’s nearly time, Cindy, depending where you live! Can’t wait, either! Tomatoes are my favorite thing to grow in the garden. I love the way the plants smell. I love rubbing the leaves and having that tomato plant smell on my hands. My kids all have grown up picking tomatoes off the vine and eating them like apples out in the middle of the garden, even as babies. We can make a meal of just tomatoes in the summer (if my husband isn’t home, he requires meat). And I love growing heirloom tomatoes. Thanks for hosting this giveaway! You are welcome, Tracy, and good luck! Tomatoes, tomatoes, tomatoes…I took get made fun of for the amount of tomatoes that I plant. I planted over 50 plants last year. Tomatoes are my very favorite food. I share your pain, Val! People laugh at me, too! I love to grow carrots! It blows the kids minds and makes them giggle to pull them up! Carrots are like a hidden treasure, aren’t then, Michele? I love growing all the things! But mostly, I love tomatoes, sugar snap peas, and carrots. My favorite to grow is tomatoes. Last year I grew 7 varieties and this year will be a dozen. I plan on putting in 36 plants this year. I love salsa, soups, sauces, etc. can’t wait until I can actually start my seeds and start working in the garden again. Heirlooms of all kinds. My husband loves tomatoes . We been married 6 months. This summer was his first heirloom tomato he feel in love. Lots to love with heirloom tomatoes, Deborah! Blessings on your new husband and you and your new garden! I enjoy growing pumpkins but I’m especially skilled at growing weeds! Haha Jennifer, me too! I always call the weeds my “living mulch.” Just don’t let them go to seed—oiy, what a mess then! I love to grow peppers of all kinds, makes my heart happy! Me too, Beth. Yum yum!! I love baker creek and tomatoes too! Is it very hot and dry there? Be sure to use lots of mulch to keep the roots cool, Lisa, and conserve moisture. turnips. there so versatile and last long into the winter and the cattle like them too. I grew turnips for the first time this year and I just love them, Kelli. They are so delicious diced and roasted with other root crops. I’m gonna grow more next year, so I’ll have enough to last us all winter long! Garlic; it’s so good with almost everything. Favorite garden item???? Really???? I have to choose 1???? Only 1???? Cucumbers. Wait, no. Jalapenos. No, hold on. Tomatoes!!!!!! Heheee! 🙂 So hard to choose! The Dad’s Sunset are super super tasty. Angie, I love your comment. Are those varieties grown for dried beans? I love growing tomatoes and peppers in my garden….so many uses for each of these. Tomatoes! Nothing like a fresh picked tomato with a sprinkle of salt! I don’t know how I have never come across this blog! I love it. I love growing tomatoes because of all the different colors, flavors and textures. I was really a fan of tomatoes but that changed when I started growing them. I meant to say that I was never really a fan of tomatoes but I can’t get enough of them. THanks Luis. When I was a kid, my mom bribed all of us to eat fresh tomato slices from her garden by sprinkling sugar on them. Now I love them straight from the garden, eaten like an apple! I’m glad that our childhood tastebuds do change! Broccoli is my fave !!! i love that it takes longer and grows that massive plant for it and really makes me appreciate how much room it takes to make a bag or broccoli ! and the fact that we have never actually been able to cook or eat our homegrown broccoli because as soon as i harvest it my 3 yr old gobbles it up ! I love tomatoes defiantly Cherokee purples and Oxhearts. Love ’em Love ’em! Brittany, those are two of my favorites, too, especially the orange Oxheart! I love growing tomatillos! Not only are they tasty to eat, but the plants look so beautiful in the garden (at least to me)..they’re like tiny Chinese lanterns. Do you make the tomatillos into salsa, Heather, or how do you use them? I’m so excited about this! I knew how you felt as I read your post. I’m experiencing cabin fever down here too, in Tennessee!! I want so bad to get out there and get my spring garden going, but alas, it’s not spring, and it’s too cold! I grew 3 types of heirloom tomatoes last year, and the ones that did best were the mini yellow pear tomatoes. We ate them right off the vine. Sometimes, they didn’t make it into the house! 🙂 I’d love to win your seed packets. I’d like to try and grow more varieties of tomatoes this year, and learn how to grow all of them more successfully. Thank you for this opportunity! Monica, I love to grow heirloom tomatoes, too! It’s a thrill every year to see those bitty green tomatoes forming on the plants. Even more of a thrill to pop the first little one into my mouth, when it’s ripe. Yum!! My favorite hands down is tomatoes. Since I was a kid I loved growing tomatoes of all varieties . I started growing organically about two years ago and have not looked back. Even though I believe it is tougher to grow this way it is a lot better for you. Thanks for the opportunity of winning some seeds ! Luke, you are welcome, and good luck! That sounds like fun, Teresa! Kara, good for you!! Have a blast in your new garden space and you can continue to enter every day to increase your chances of winning these seeds! It is almost impossible to choose my favorite veggie in my garden. At first I thought it was going to be tomatoes but the more I thought about it I decided that it is actually onions. I can alter the sweetness of my onions by remembering to side dress with fertilizers and lots of compost tea. Oh, Jane, you’re the first person to say onions. I love to grow lots of onions, too. Have you ever tried to grow leeks? They are fun to grow, too. Thanks for the onion-growing tips! Good for you, Michael, and good luck! You can continue to enter the contest every day to increase your chances! Oh just seeing the pictures made this frozen mama in Ohio happy! Love heirlooms. Have you ever grown Cherokee Purple or Black Krim? I would love your input. Teresa, BOTH Cherokee Purple and Black Krim are regulars in my garden. I love the rich flavor of the dark colored tomatoes! I grow them both and love them both! You just can’t go wrong with either of those varieties. Sugar Snap Peas cuz I can just pick the first few off and munch away.! Sugar snap peas seem to be the top at lots of peoples’ lists, Casandra! Absolute favorite thing to grow: greens. They’re so fail proof and I love clipping them for a quick salad. And there are so many, such a variety! Agreed! What’s your favorite, Danielle? I love Baker Creek Seeds and I’m going to love growing lots of their tomatoes and peppers. Watermelons. I could live on watermelon in the summer. My favorite thing to grow is basil. I can never have enough pesto. Basil is one of my favorites, too, Julie, and I miss it sorely through the winter months! My favorite plants to grow in the garden? How to narrow it down? Greens, because they are instant gratification; Peas, because I know my son cannot resist eating them in the garden. Carrots, beets, onions and parsnips for they speak to me about late fall, when everything slows down (for about a week). Tomatoes, Chile, Tomatillos, peppers, eggplants the stars of August, so yummy still warm from the sun. Squash are fun, for we love watching them climb the corn in a tangle, making a natural fort. Corn is nice, something I catch my husband and son munching in the garden midsummer. Cruciforms, while not my favorite, add splash at the end. Flowers, all kinds of flowers, drawing the bees in. How to find my favorite? I cannot for they all are my favorite when my eyes spy them, reaching for the sun. I agree with everything you said, Sarah, and I love the way you said it, too. 🙂 Very pretty word pictures. I’d love to see your garden! I love Baker Creek and everything they stand for… thanks for promotions like these that spread the word of great heirloom varieties!! Marsha, you’re welcome and it’s my pleasure. THank you for your comment! I have really been impressed with Baker Creek. I think they are a fine company with a great product!! Oh my , hmmm I cant pick just one thing. We had a blast with the corn, an overabundance with the zucchini, Tons of Tomatoes, Peppers, peas, squash and cucumbers! Planning on adding more this planting season!! Amelia, way to go, you sound like my kind of gardener! I can’t wait for tomato season again! And, *love* baker creek! My favorite thing to grow is tomatoes. I love trying new varieties. You are so right about browsing the seed catalogs are a great mood lifter during the dead of winter. I love those beautiful seed catalogs!! Tomatoes, because you can do so much with them! Thanks for the great giveaway! Thanks for entering, Lisa, and good luck! Remember that you can continue to enter again every day to increase your chances of winning! I am also a tomato nut. I let them reseed and come up year after year in my greenhouse and in the garden. Then at frost, I pick everything and let them ripen in my back room. I usually have tomatoes through December! Just last night I was poring over Baker Creek’s tomato selections; would love to try all eight of these! Loryjean, thanks so much for your comment! Don’t forget that you can put in new entries every day to increase your chances! Nancy, me too! I will be starting my tomato seeds in the house in a few weeks, and every day after they come up I just like to run my fingers over them, to have that tomato smell on me all day. Lovely. People don’t realize how many colors and tastes tomatoes have…the variety’s are beautiful!!! Love the heirloom seeds!!! I’m on a bit of a humanitarian mission in my area, Mickey, to expose and illuminate this issue to as many people as I can. So many people have never tasted an heirloom tomato, can you imagine? And they are a completely different animal from the grocery store “tomatoes,” wouldn’t you agree? also this blog is priceless!!!! Gem of the day to have found her!! mmm…Heirloom tomatoes are my favourite thing to grow in the garden- there’s nothing quite like a fresh-picked, ripe tomato, still warm from the sun and bursting with juicy sweetness balanced with a slightly tart, acidic background. Tomatoes are like wine- some varieties have a cult following; some are good for every day use; and while people will still drink two buck chuck (or eat a commercial/hybrid tomato), no one really enjoys it… Heirloom tomatoes are like the finest of wines. Shawn, nicely put! It astounds me that there are so many people (at the farmer’s market where I sell every year, for example) who have no idea what an heirloom tomato even tastes like. THank you Sophie Bowns. Sugar snap peas are something I grow every spring, too, and I have to get to the garden first, before the kids find them . . . they love them, too! Oh, yes, me too, I’m craving a real BLT right now! YUM! Such an awesome tomato give away. Hope I win. Crystal, thanks for entering! You can add new entries every day, you know, to increase your chances! Crystal, you can post new entries every day, too, to increase your chances! I love to grow pumpkins! Can you share with me your favorite varieties? Green beans, love to eat those, so much better than canned. I will be growing most of my small crop indoors this year. Our ‘yarden’ needs refurbishing….. but I will always have my tomatoes right here next to me and my window! Noel, good for you! Where there’s a will, there’s a way! I didn’t use to grow herbs, for some peevish reason didn’t feel like they were “real food” but now I grow LOTS of herbs and probably miss them in the off-season more than anything else!! I love seeing all the photos you post of the beautiful varieties you gorw. I had the most lovely garden at my old house where I grew almost all of our produce. It’s the only way to get great, fresh, clean SAFE fruits and veggies!! Thanks for all the info and updates, love you guys! Peppers of all kinds is my favorite to grow. But love all my veggies. I love, love, love tomatoes. I love to grow peppers! Hot and sweet, so many different types. Oh and tomatoes! Try Cherokee Purple Tomatoes, they are the best I have ever had!!!!! I love Cherokee Purples, too, Misty. A friend shared seeds with me one year, and now I grow them every year. I absolutely love Baker Creek seeds. Seriously, out of all of the seeds I have ordered out of heirlooms theirs are the best quality and pretty much EVERY seed you get will sprout. I grew some Lincoln Shell Peas in a hanging planter and they just went crazy flowering and producing and they taste very good. I ended up just keeping most of them until full maturity to send to friends and family who now enjoy them too! If you live in the area, the Spring Planting Festival that they hold in Mansfield, MO, is really, really fun!! It changes from year to year. Last year my favorite thing was butternut squash. Butternut is one variety, Christina, that I’ve found that the squash borers aren’t so hard on, and I like it too. I love love love growing cucumbers, zucchini, tomatoes and snap peas. I just love gardening period! Not many weeks now, Sara, before we can start all over again, yay!! I love Baker Creek. I drool over their catalog each year! Me too, Jessica! Did you get the new, expanded BIG catalog this year? It’s GORGEOUS! Tomatoes. And Peas. I can eat them both right in the garden. Instant reward! *burp* Sorry kids, Mommy’s not hungry for supper tonight, how about if you all grab a sandwich . . . ? I can’t wait for warm weather so I can garden again! Me too, Joseph. My favorite watermelon (so far!) in fact is from Baker Creek. Their “Orangeglo” watermelon is really amazing! Our favorite thing to grow is beans, we use lots of green beans and dry soup beans all year so we plant lots of them. I love having dry soup beans in the pantry, Dana. Such a comforting feeling to have them in reserve, just in case!! So tasty, too! Fall carrots — they are SO extra-sweet! And I love digging them up on Thanksgiving morning to serve the family fresh veggies in November! Oh yes! I still have a few fall carrots in my hoop house, and I agree that they are the sweetest! My favorite things to plant are tomatoes basil and garlic. Oh, and kale. And potatoes. And cucumbers. My favorite thing to grow is tomatoes- you can make so much with them- spaghetti sauce, salsa, pizza sauce, or just use them to jazz up some hamburgers or a salad! Squash would be my favorite – all kinds! They’re easy to grow, and so versatile. I’m a vegetarian, so I’ve never met a veggie I didn’t like, but I love the ones that can be fixed any which way. And Laura, there are so many kinds of squash, too. Do you get the Baker Creek catalog? They’ve got a stunning amount of squash varieties! Sounds like a great scenario, Jamie, especially the munching on fresh peas! That is an abundance of gorgeous veggies you have there in that photo…wish I could grow that much. My favorite veggie right now is kale for my green juices. Kale is a real favorite at our house, too, Samantha, and I love it that it has such a long season. It’s the last thing to freeze in my hoop house. YUM can’t wait ’til Strawberry season! Tomatoes are my very favorite thing to grow in my garden. But a close runner up is ground cherries (seeds from Baker Creek, of course)! I’ve never really had good luck with ground cherries–how do you prepare them to eat? Cherry tomatoes, my kids go crazy for them!! Love heirloom tomatoes especially the red and yellow stripe ones. Can’t wait until spring to start our garden. The striped ones are some of my favorites, too, Robin. I just can’t get over how pretty they are! And I also love the pineapple variety: it is gorgeous! I like to grow tomatoes and peppers because their are so many different varieties. My favorite things to grow in my garden are all my herbs that I use throughout the year. I really like to grow tomatoes with peppers and lettuces coming in a close second! I can them so I like to grow a variety of them. This year’s favorite was the Jersey Devil and Black Krim. I’ve never tried Jersey Devil, Kirstie, but I love Black Krim. Tomatoes, sweet peppers and lettuces! I’m not saying this because you’re giving away tomato seeds but I REALLY REALLY love tomatoes. I could eat cherry tomatoes all day! I eat the full size ones like apples. And nothing beats a fresh picked, sun ripened, heirloom tomato. My favorites are tomatoes since I have to go all winter without any. Who wants tasteless tomatoes from the grocery store, anyway? A close second is greens of all kinds, especially kale and Swiss chard. Definitely the best thing about summer! Love those heirloom tomatoes!! Tomatoes!!! None of our cherry tomatoes have ever made it into the house, the kids gobble them up off the vine! Kathleen, your kids must really love them–my cherry tomatoes are always the best producers! Have you ever grown heirlooms? If not, you should try some this summer. They are just so wonderful! I’ll be working on a tomato soup post very soon! Keep posted! Great post, even better is the give away. I look forward to growing zucchini and serving them many different ways. But, lettuce, kale, peppers, tomatoes, cucumbers and my strawberry patch are not distant seconds. Thanks again for the raffle. Absolutely, you are welcome! Remember that you can continue to enter every day, Barbara! Well, then I hope you win! I’m going to buy myself an envelope of the Paul Robesons, since I’ve heard so much about him and the tomatoes during this giveaway! I like to grow something new to me every year! This year it will be tomatillos! I was thinking about trying tomatillos this year, too! This year, I will have my first garden. I am planning a small raised bed with some of my family’s favorites. My son loves tomatoes, so I will definitely be attempting them, along with carrots, snap beans, cucumbers, and strawberries. Your first garden, what fun! Good luck with it, Lisa! A favorite here is definitely green beans and tomatoes of course! Tomatoes for a lovely summer salad and my son can’t get enough of our homemade dilly beans. Oh, Stephanie, we love to make dilly beans, too. I love to grow tomatoes and am just discovering heirloom varieties. But I think I love cucumbers the best because I love me some dill pickles – 35 quarts for just me and I have already gone through almost half of them already! YUM! Oh my goodness, CJ, that’s a lot of dill pickles! Do you share your recipe? I was very happy with my eggplant this past summer. But what I really want to happen this summer, is to have a successful harvest of tomatoes! I canned tomatoes for the first time (heirloom) this past summer and WOW! are they so delicious to have all winter long. Well, sadly, we only have one jar left….what to do???? Plan for a harvest this summer that surpasses all harvests, so that we can enjoy the taste of summer year long! Thanks for your help with that dream! I’ve found that tomatoes are easy to grow. Mine get very large and very productive. Just don’t plant them in the same spot in your garden every year or they won’t do as well. i love to grow my own salsa…. i have a hard time with onions though…. I’ve got an ok handle on herbs in my tiny urban garden and they’d pair well with awesome heirloom tomatoes! Can’t wait for spring!! Every year I put in more and more herbs, and you’re right, they really pair well with heirloom tomatoes. ESPECIALLY basil . .. and oregano and thyme . . .oh! Sage is good, too . . .
We love everything we get but especially Cherokee purples. Oh, those dark purple tomatoes are the most nutritious, too, did you know that? Very cool! I love Cherokee purples, too! I TOTALLY agree! I’m so glad that there’s such a plethora of lovely fruits and veg that we can grow!